Andy is a three toed sloth. They are incredibly slow, yet can be very persistent about moving around. One of the highlights of the trip was the bathing of Andy and watching him dry in the sunrise in the morning. The beautiful sloth lady would climp up (very slowly) and stretch out in the sun doing her own version of “I’m King of the world!”. 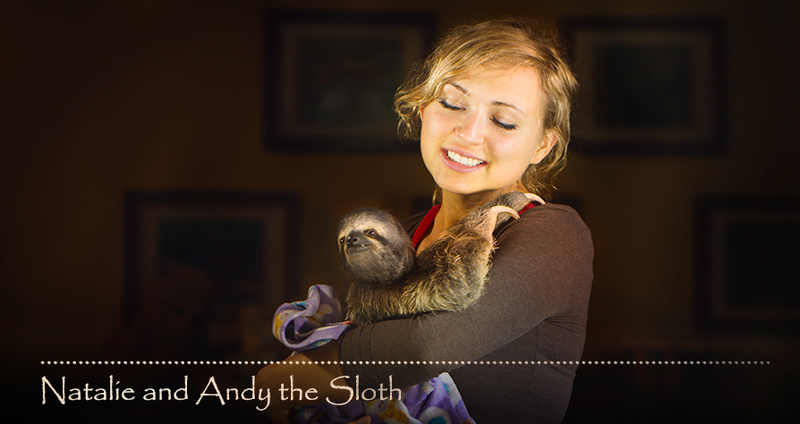 Meet Andy and the other animals in the Wildlife Rescue Movie.